Riley Draper has always been a high flyer. At age 10, he aspired to be a screenwriter. In college, at the University of Tennessee at Chattanooga, he studied writing and served as editor for Sequoya Review, the school's literary journal. At age 21, Draper co-founded WeCounsel Solutions, an Internet-based health care company. The startup flourished. Draper was afforded financial security — and with it, the freedom to truly spread his wings. Three years after its inception, Draper left the company to pursue new interests: travel and photography. His plan was to shoot a documentary about expatriates, and last February he purchased a one-way plane ticket to Europe. He would begin in Lisbon, Portugal. Upon landing, he purchased a digital camera capable of shooting stills and video. Draper spent his first month abroad exploring the city, snapping photos of the people he met. He learned he preferred a snapshot's standalone story to video's complexity. 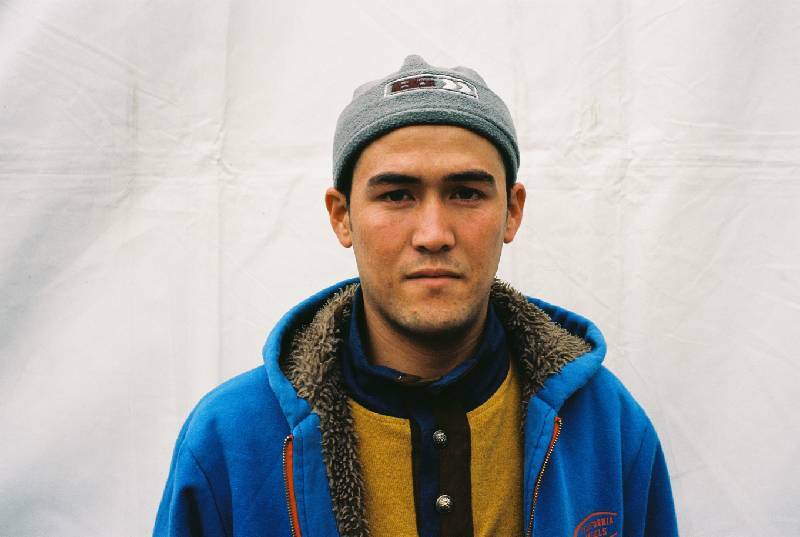 Soon, he traded his digital camera for a 35mm camera. "I like not being able to see my photos instantly. With film, you can distance yourself from the photography and get the film developed when you're ready," says Draper. He began taking private courses at the London School of Photography. Shortly thereafter, the image of Alan Kurdi, the 3-year-old Syrian refugee whose body was found on a beach near Turkey, made global headlines. Photography, Draper realized, is more than art. It is a provocative tool that can spark social change. From then on, he decided to become more intentional with his camera. "I was looking for close-ups of people largely rejected by society within the confines of a personal environment. 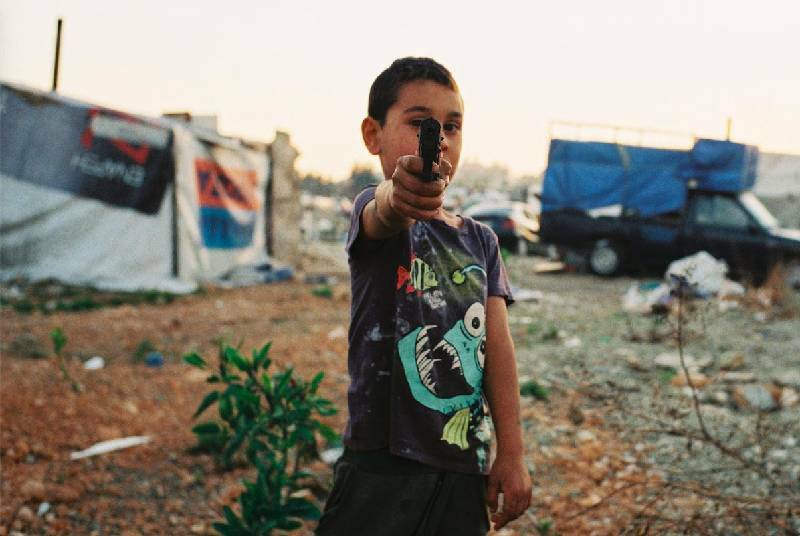 Documenting refugees, migrants, gypsies and homeless populations became my primary interests," says Draper. Over the past year, Draper has visited 36 countries. If he had to guess, he says, he's shot tens of thousands of photographs. He is never without his camera. He has learned to keep a keen eye for detail. Before photography, says Draper, "I would go from one place to another without noticing the little things in everyday life, those unguarded moments that encapsulate what being human is all about." One morning before heading down to the refugee camps in Belgrade, I heard protesting outside of the place where I was staying. I went out with my camera to observe the protest, making it to the front lines where I took this photo of these protesters shouting at police officers. I was shooting really quick that day so I barely remembered taking the picture. But what I do remember is feeling lucky to have arrived at the scene. 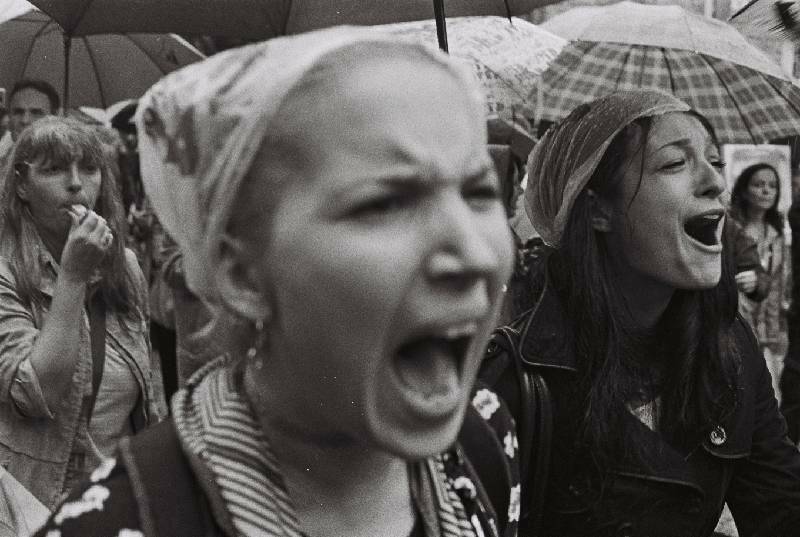 I discovered later they were protesting the development of Belgrade on Water, a development project that eventually destroyed large parts of Savamala, one of Belgrade's oldest areas. This is one of the only true portraits I took while working on the crisis. That is to say none of my other photographs, except maybe a few, were arranged. I met this refugee from Afghanistan at a distribution center in Belgrade. He had just replaced his old, beaten-up shoes with a new pair. He was really sincere and humble and I asked him to pose for this portrait against the backdrop of a medical tent. I liked the way the color stood out among the white background. I was riding on the subway in Athens when I looked out the window and saw this entire community of Roma living under a large construction bridge. I got off at the first stop and started walking in that direction. I remember the sun was just starting to dip, and the light had that perfect golden quality to it. This particular photo is one that I like to let speak for itself because I think it leaves some mystery to the viewer. I think I took four frames of that instance while he pointed the gun in my direction. That's why I call it "The Duel." I was aiming my camera at him, and he was aiming his gun at me. Riots are always something I find engaging. They're always energetic and emotional. I was photographing a homeless community in Buenos Aires when I met a photographer from CNN. He encouraged me to attend this workers' protest outside the president's office. I took this photo through the walls enforcement had placed up for protection. 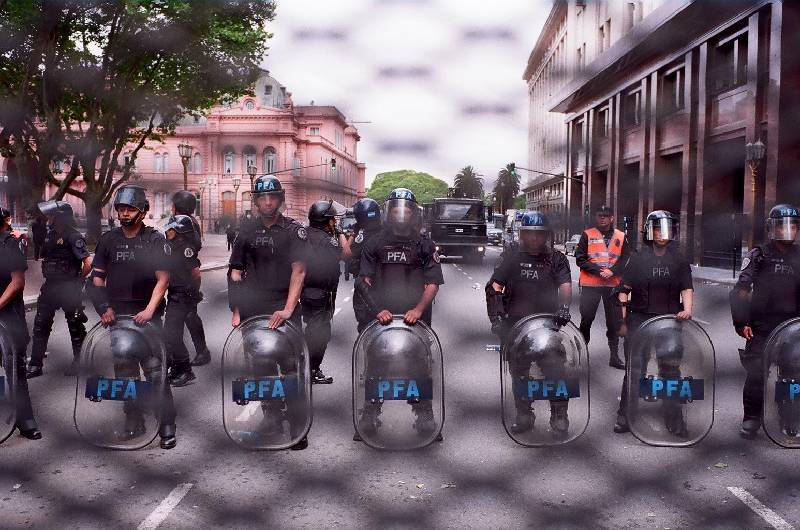 I was in Argentina when I got the news about the terrorist attacks in Paris. My first response was that I had to get to Paris. After a series of canceled flights, I finally arrived in the city shortly after the attacks, while the country was at the height of its declared state of emergency. 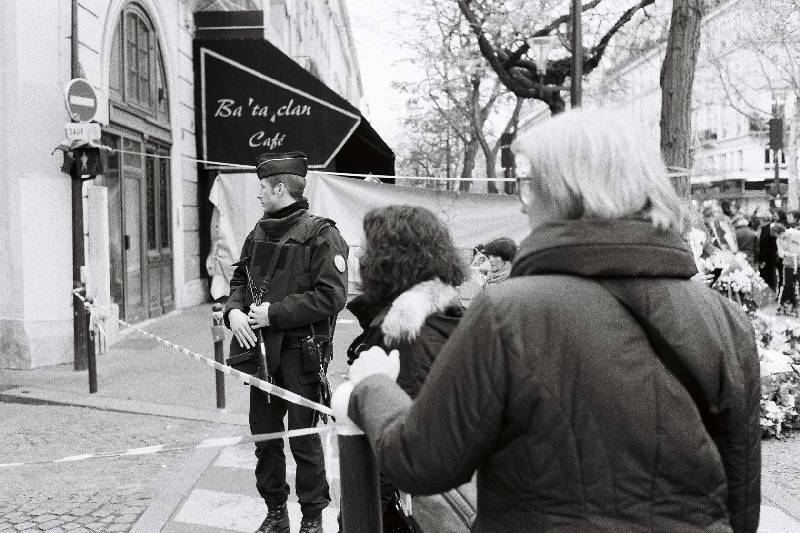 I visited the Bataclan theater on the first day, where I took this picture of a police officer guarding the perimeter as citizens look on. It was a really sad day that day. I remember thinking to myself that things were only going to get worse. Every time you shoot a roll of film, the first two frames are going to come out burnt because they were hit with sunlight while you were loading the camera. But every once in a while the image will only come out half burnt. I was originally intending to include more in this photo when I took it, but when I got the picture back later I liked the effect the sunlight had on the image. 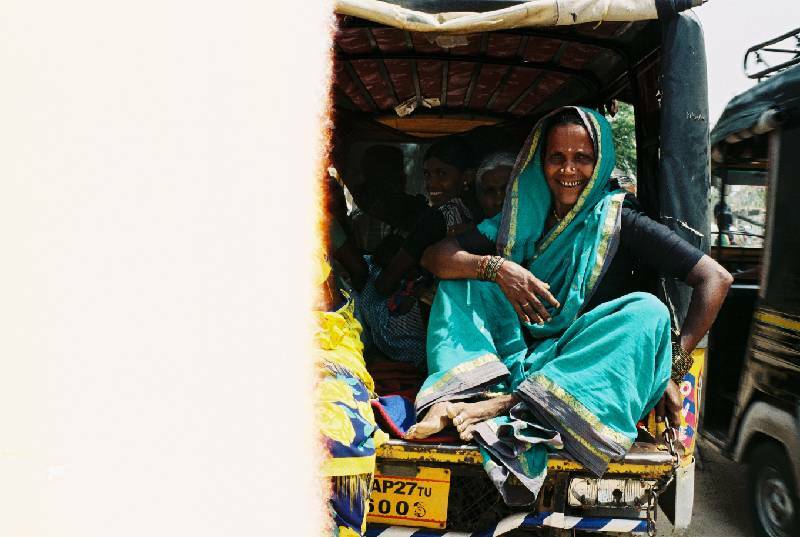 I thought it wound up framing the Indian women in the rickshaw in an interesting way. 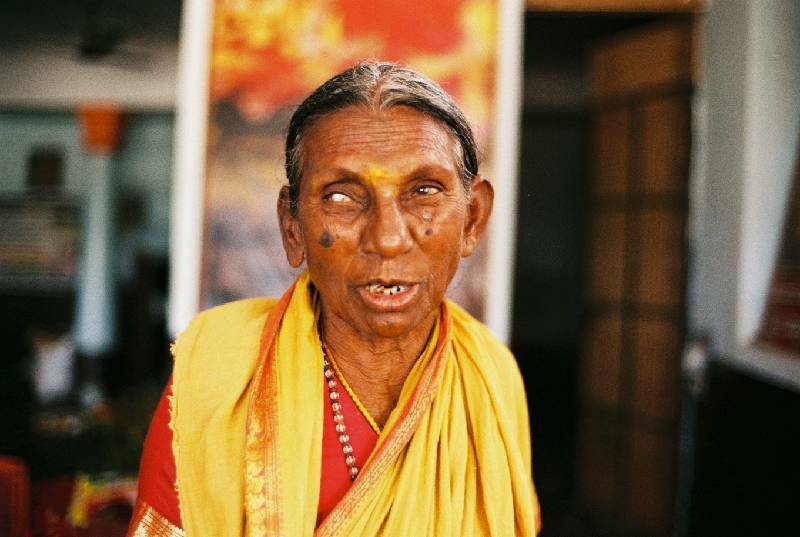 I was walking around Hampi, India, near some temples when I saw this woman leaving a building. I immediately noticed her one blind eye. In his book Camera Lucida, Roland Barthes introduces the concept of punctum, one of what he considers two major factors in creating an image. Punctum is the little detail in the photo that stands out among the rest of the image. For me, the one blind eye reminded me of this concept and I wanted to try to capture that. 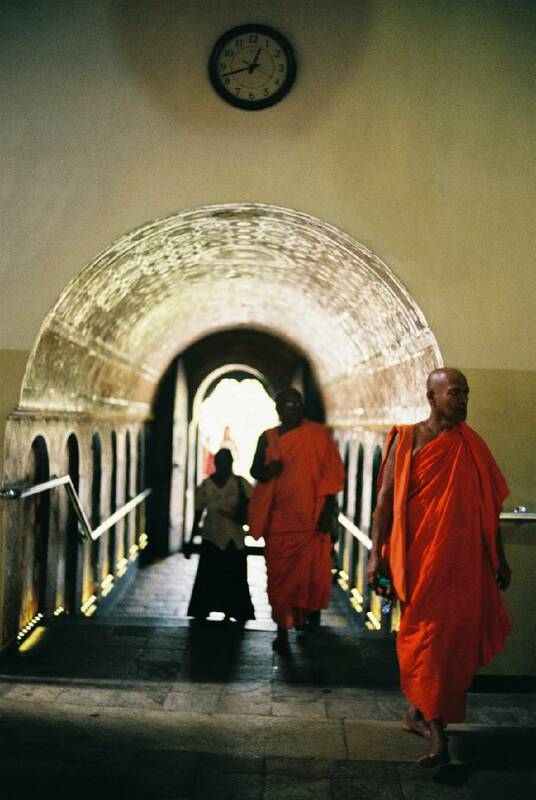 This photo was taken at the Temple of the Sacred Tooth in Kandy, Sri Lanka. I remember wanting to use the doorway to frame people walking into the temple because I liked how the light passed through and I thought the clock on the wall added to the picture. I took a handful of photographs here but it was mostly just tourists passing through. It wasn't until the two monks in orange walked toward me that the photo came together. When I saw this group of fishermen reeling in the net, I grabbed my camera and headed down to the shore. 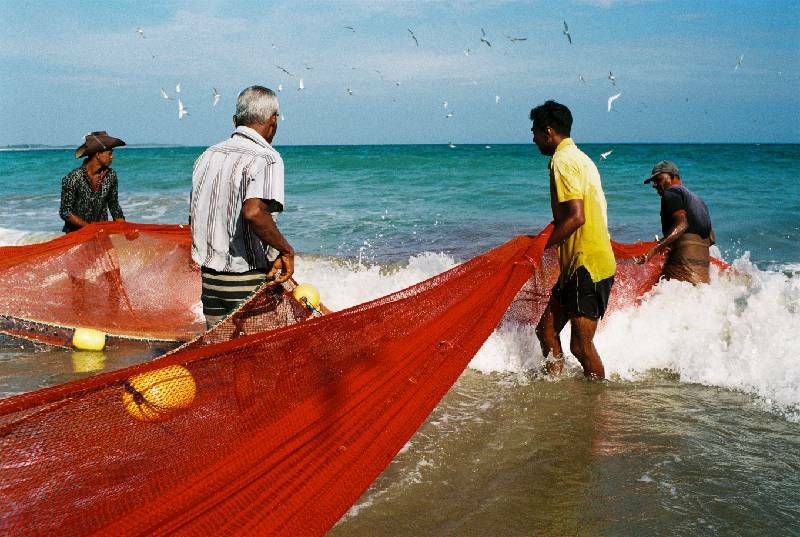 I wanted to use the red net to lead viewers visually toward the subject and the backdrop of the ocean with the birds. I think I got lucky with all the primary colors coming together that way with the red net, the yellow shirt and the blue ocean. I was also using a special brand of film called Ektar 100 that produces warmer colors. This is the only digital photo I submitted. I took this at a camp in Belgrade after running out of film. 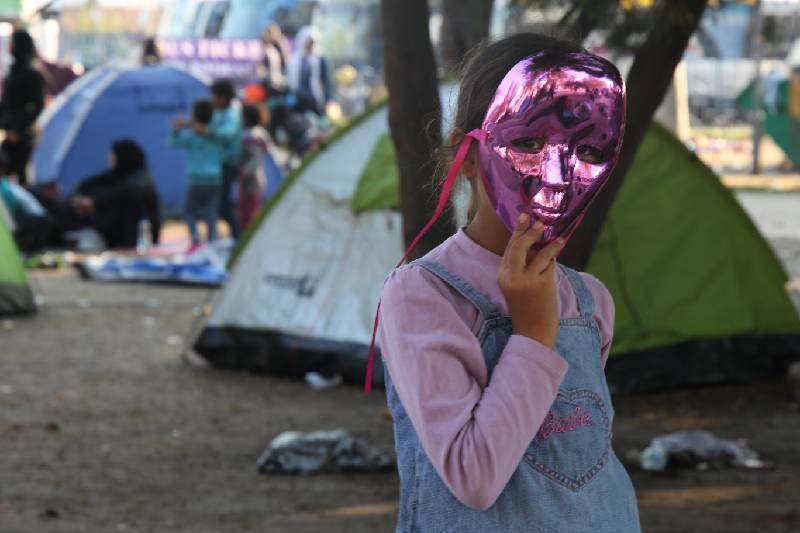 I remember my memory card was full so I was deleting pictures as fast as possible to get this shot of a young refugee with a pink mask on. Later, an old friend of mine would see this photo online and decide to donate to the crisis and come help out himself. When I look at this photo I'm reminded that even a little change for the better is reason enough for me to keep doing what I'm doing.